Augsburg - The Bundesliga's global pulling power knows no bounds, and it is not just in the UK, the United States, Japan and Africa that Germany's top flight is taking an ever-increasing hold on the imagination of players and fans alike. Alongside the well-documented influx of young Japanese players in the wake of Shinji Kagawa's high-profile success at Borussia Dortmund, a couple of fledgling South Korean stars are also currrently making a name for themselves among Germany's football-following public. While Heung-Min Son is hitting the headlines with his scoring exploits for Hamburger SV, his compatriot is doing a job every bit as vital for struggling FC Augsburg. The 23-year-old midfielder has been with the Bavarian Swabians on loan from Wolfsburg since the start of 2012 and played an integral part in their top-flight survival down the home straight last season. Koo's all-round ability in the middle of the park is proving equally pivotal in the current campaign and, given that, bundesliga.com asked him how it is that he has settled in so well here. "Germany and South Korea are in many ways very similar, above all in terms of the mentality," the 26-time South Korea international reckons, "so it works very well." As far as his new surroundings go, he noted,"I'm really happy in Germany, particularly at Augsburg, where I've been made to feel completely at home. I'm learning German and have regular language classes. My German isn't perfect, but it's getting better all the time." This Asian-German rapport clearly extends beyond the field of play as well, where Koo, much like Kagawa before him and the current likes of , Takashi Inui at Frankfurt and Nuremberg's Hiroshi Kiyotake, has not only adapted but embraced new customs, a new language and, in his case, a new Bavarian lifestyle. 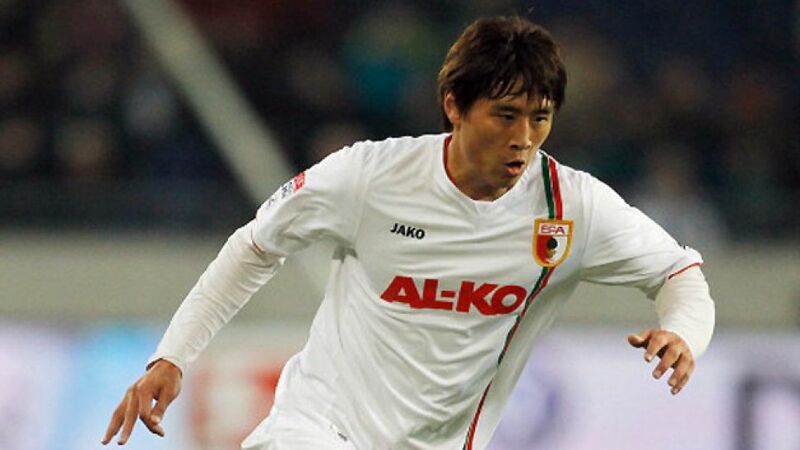 It was with his loan move to Augsburg at the end of January that Koo's Bundesliga career really started to take off. "A few factors have come together here at Augsburg," he explained; "The environment, the team, my colleagues. Everything was new for me when I joined Wolfsburg, which was my first time playing abroad. It takes a bit of time, of course." Getting into the German swing of things may have taken a while, but scoring against the country's record champions took no time at all for Koo, who hit the net at the Allianz Arena as Augsburg fell to a narrow 2-1 defeat to Bayern Munich last April. "Games against FC Bayern are always special. The fact I scored means nothing because we didn't win the game," said Koo ahead of Saturday's showdown with the league leaders - a Bavarian derby from which underdogs Augsburg need to emerge with something tangible to keep alive their hopes of spending the winter break clear of the bottom two.